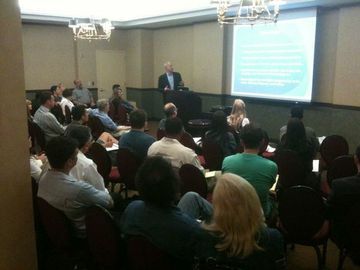 August's Meeting: "Lights, Camera, Intellectual Property in Popular Culture" Register now. This month's meeting is just over one week away. “Lights, Camera, IP: Intellectual Property in Popular Culture," David Postolski along with, Adrienne Fields (The Artists Rights Society) and Matthew Hintz (Servilla Whitney LLC) will be holding an interactive discussion on patents, trademarks, and copyrights that are throughout the media, like books, movies, and so on. For further information, see the link below to the event. Registration deadline: August 11th (day of the meeting) at 11:30am. If you register for a guest, please include the first and last name of the guest(s) at the time of purchase. Also, admission includes viewing and participating as an audience member at the pitching panel held after the talk. Interested in pitching your invention (patented or patent-pending) to our expert panel who will offer great advice and feedback? 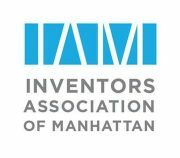 See more information and register here: http://www.meetup.com/manhattan-inventors/events/197349162/. Please let me know if you have any questions and enjoy the weekend!